Home > Africa > News from Port Elizabeth! After weeks of quiet anticipation, the moment has finally arrived! 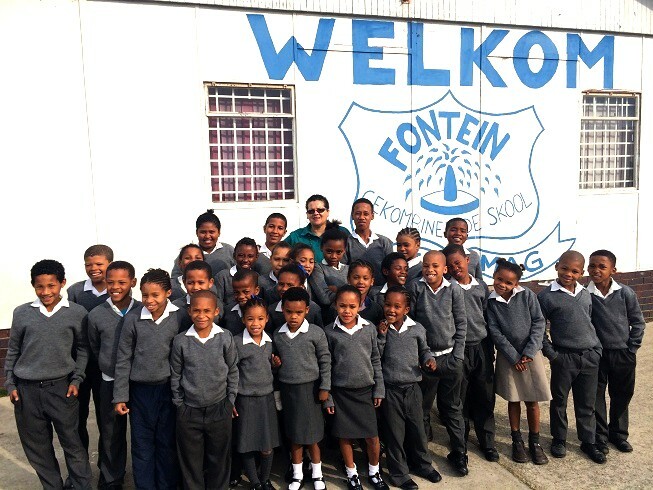 Our fundraising paid off and we were able to buy school uniforms for countless children at the Fontein Primary School in Port Elizabeth, South Africa. We joined hands with Geberit SA who helped to fund jerseys and raincoats for the needy children who live in the informal settlements. This was extremely helpful and a nice comfort against the chills of winter. Simon Hall, a Geberit representative was kind enough to drop the clothes off at the school. “It was very moving seeing the happy faces of the children, ” says Simon. “I wish you were there to witness it with me!”. The teachers were equally thankful. Now, with one less obstacle in their way, they can continue educating the future of the nation.